We’re updated and re-released our Bullet Free Small Business Startup Grants Guide. 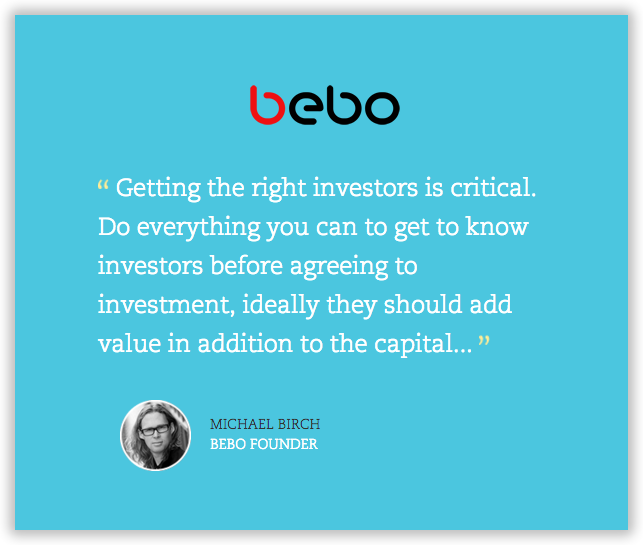 With over 5,000 downloads this one one of the most popular startup Grant guides in Dublin. The guide is a simple but informative read. We spent 3 months crawling over every state grant for startups. We ordered them into chronological order, making sure you don’t get caught out in the oppressive bureaucracy. With over 30 pages of tips and tricks reviewed by Enterprise Ireland you’ll get the most out of the grant system, this ebook is a must have for any small business or startup. The best time to start applying for your small business grant. What order to apply for the grants. What grants to apply for. What you can get out of that grant. 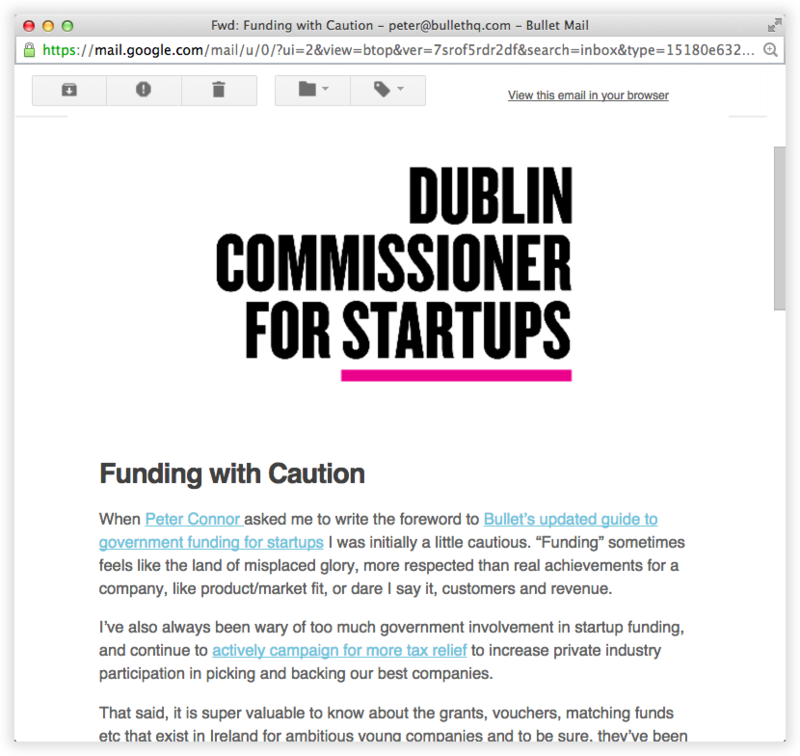 We also updated our forward with some great insight from the Dublin Commissioner of Startups @Niamh Bushnell. Niamh is Dublin’s first Commissioner for Startups, an independent office supported by private and public funding whose role is to promote Dublin as a global tech hub for startup and scaling companies. Niamh is a regular on the startup scene in Ireland having moved from New York. 1,000 of pages of Government documents, three months work, tones tips all only 4 steps away. See how simple the steps below are to follow. 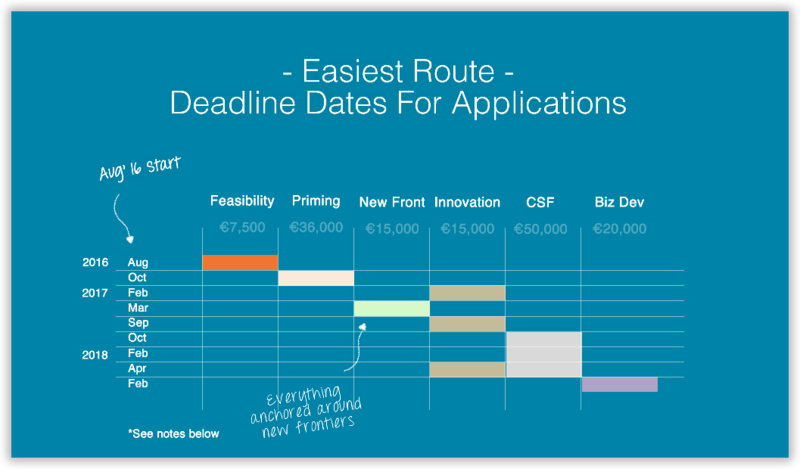 Start your journey, save months of messing around, and get some Government funds to get you bootstrapping your new idea. Get your Bullet Free Small Business Startup Grants Guide right here.